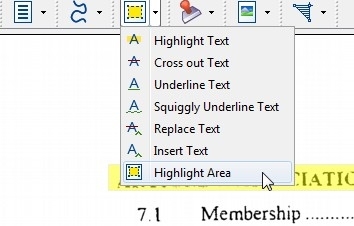 Q: Why aren’t text highlights working in my document? A: The Text Highlighting tool will only work when a PDF document has text information within the document content. Documents created via scanner are generally only an image of the page and will not contain any text information unless it was processed with an OCR function to recognize and reconstruct the text in the image. You can add searchable text to a scanned PDF document using the OCR function available under Document > OCR – Create Searchable PDF from the top menu. OCR was released for PDF Studio Pro in version 8.2.